Available in: 2.5 lb., 5 lb., and 10 lb. 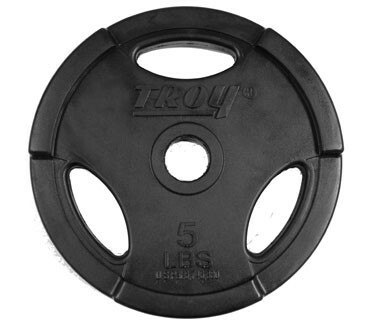 Troys Rubber encased 1 Standard interlocking Plates are designed to fit all 1 bars, taking the abuse that cast plates cannot, they are used in our TROY Lite Workout Strength Training Set. These Quiet Iron plates will not damage floors or equipment.